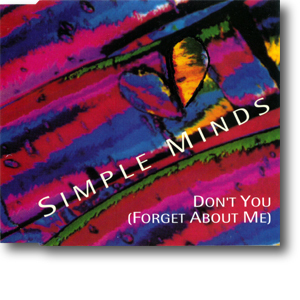 Don't You (Forget About Me) was also issued as a single in Germany in February 1993. The three track CD featured three variants of the song. This single also featured glorious colour artwork, unique to this release. Only a tiny number ever surfaced. It was either issued for promotional purposes (although the sleeve nor CD features any promotional wording; the sleeve was far too glossy and well designed for a promo; and, most damningly, there was nothing to promote at the time) or it was a withdrawn single. One copy included a press release, but gave little away about the single’s raison d'être.